Many thanks to everyone who participated in our Creative Invite and to the entire community for your likes and comments. The number of submissions far exceeded our expectations and we are impressed by your diverse and creative ideas. It definitely was not an easy choice to make but after many discussions and considerations, we now have chosen 4 Finalists faster than expected! We are very curious which design will be chosen from the community in the end. So check out the voting coming up soon on our social media channels and congratulations to the Finalists!" It’s getting ice cold in here - so bring up all your skills! First created by Leontowitsch Gorbatschow following old family traditions in Russia, the famous vodka made its way to Berlin in 1921. 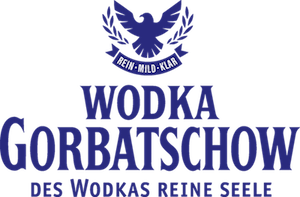 Since then the brand Wodka Gorbatschow came to be the most successful vodka brand in Germany and is easy recognizable by the bottle shape and the blue label. 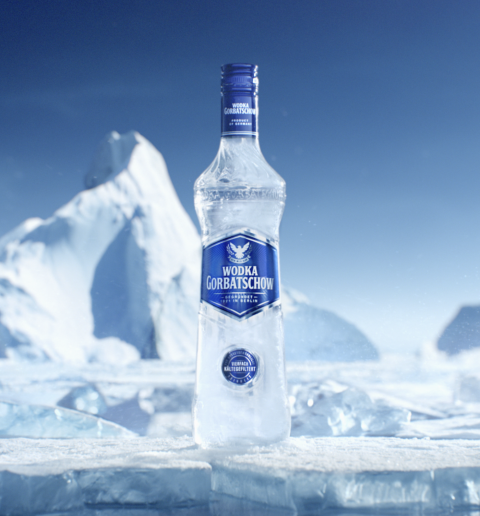 With its patented quadruple-chill filtration process Wodka Gorbatschow stands for premium quality, which is perfectly outlined by the brand’s claim “Wodka Gorbatschow. Des Wodkas reine Seele.” (“Wodka Gorbatschow. The true spirit of vodka”). Wodka Gorbatschow invites illustrators and designers from around the world to submit a remarkable limited edition bottle design, that thrills customers and awakens people's urge to grab it off the shelf. Each design should represent the pureness and the ice-cold arctic brand world. Before starting on their design, artists should read the ‘Submission Guidelines’ section below. Wodka Gorbatschow will choose four pieces of work as Finalists. Each design of the Finalists will be rewarded with €1,500. One of the four Finalists will be selected and additionally be rewarded with €4,000. That selected design will potentially be produced and traded in 2019. Your design can be any kind of style but should be inspired by the brands look and feel outlined in the brand guide you can find here. The design should follow the given printing guidelines downloadable here. The colour palette can be extended but should focus on the basic brand colors blue, white and silver. All designs should use the provided bottle design template, you may also use a high-res image of the bottle provided here to mock up what your design would look. Update as of January 18, 2019: Please find more material here. The logo with the brand name “Wodka Gorbatschow” (downloadable here) and the words "Limited Edition" should be clearly visible. Design should address the target group of men aged 20-29, vodka lovers. Design should communicate elegancy and icy freshness. Designs can be abstract, interactive and exceptional. Designs must not include any reference to children. Designs should not include photography. Designs should not include images of real people, but feel free to draw them. Designs should not depict or include any reference to religious symbols, political symbols or moments. Each design should be accompanied by a small written caption in English explaining the inspiration of the design. This information should be included in the 'description' field of your submission. The brand Wodka Gorbatschow is the leading vodka brand in Germany and one of the most famous and successful spirit brands in Germany. The brand exists since 1921 and was founded by Leontowitsch Gorbatschow in Berlin, where he had fled from Russia in the face of the October Revolution. Receive potential exposure for their work across Wodka Gorbatschow social media pages. Participate in a public voting on the Wodka Gorbatschow website. Receive €1,500 for each piece selected. Following the public voting one (1) of the Finalists will become the Selected Artist (May 2019) and receive an additional €4,000 and the opportunity to get their design produced in 2019. This opportunity is open globally to those who are at least 21 years of age at the time of entry. Void where prohibited by law. Limit ten (10) submissions per artist or artist team. Each submission should contain only one design using the provided bottle design template but several images of the same design can be uploaded to a submission. You may also use a high-res image of the bottle provided here to mock up what your design would look like. All submissions must be 100% original work (meaning not using third party pre-existing copyright materials and/or stock imagery) except for the material provided by Wodka Gorbatschow. Artists may use the material provided in the Submission Guidelines when creating their design. The logo and the words “Limited Edition” should be visible on the bottle. All rights in and to the material provided are reserved by Wodka Gorbatschow and can be used for this Creative Invite only. Artists should read the brand and printing guidelines, and submissions should conform to the specs set out in the document. Please add a short description in English explaining the inspiration and design. Please use the 'Say something about your submission' section within your submission. Please read the "SUBMISSION GUIDELINES" above carefully. Designs should refrain from depicting or referencing any religious symbols, polarizing political symbols or moments. Finalists will have to sign an Artist Agreement granting a license to the selected work to Wodka Gorbatschow for global usage for two years. The selected designs can still be used for artist's own portfolio purposes with credit given to Wodka Gorbatschow as the source. The Selected Artist will have to sign an Artist Agreement assigning all rights, title and interest in and to the selected work to Wodka Gorbatschow for global usage. The Finalists must respond to Talenthouse within two (2) days of receiving the notification email or else will forfeit all incentives. Wodka Gorbatschow will select from all qualified submissions. A qualified submission is one which meets all the Terms & Conditions, Guidelines and Official Rules.